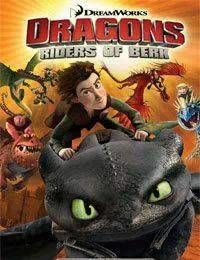 Swooping in from DreamWorks Animations smash-hit TV series Dragons: Riders Of Berk, Titan Comics proudly presents all-new original adventures of Hiccup and Toothless! A thrilling all-ages publication and a broadening of the How To Train Your Dragon universe. Featuring gorgeous animation-inspired artwork and written by Simon Furman (Transformers).